This product is very low prep for you and your students will love it! 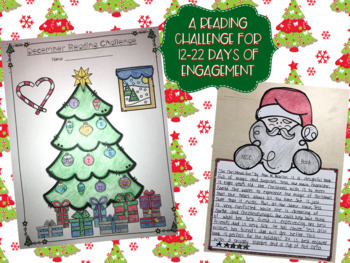 Challenge your students to read during the month of December by recording their nightly reading using the pages provided. All students have to do is color in the ornaments and presents to account for each day they read. 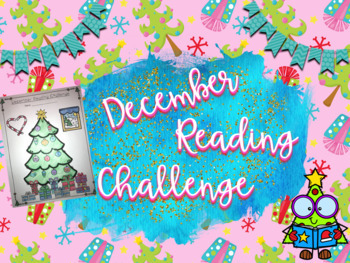 Reading Challenge- Depending on when your school gets out for winter break and how many days you want students to read each week, you can pick which option you want to give to your students, or differentiate. There are options for 12 days through 22 days of reading. All students need to do is to color in the ornaments and presents each day they read. There are two options included. The first option has each piece numbered so students know what to color in each night. The second option is not numbered so students can pick and choose what to color. Book Review Pieces- After students finish a book, there are three different options for a book review piece included. 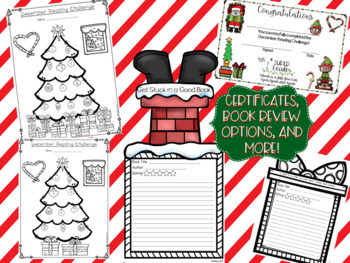 One of the book review pieces is titled “Get Stuck in a Good Book,” which shows Santa stuck in a chimney. reading area so students can recommend books to each other. Congratulatory Certificates- When students complete the challenge, you can recognize their accomplishment with a certificate. An option is included in color and in black and white depending on your options for printing.